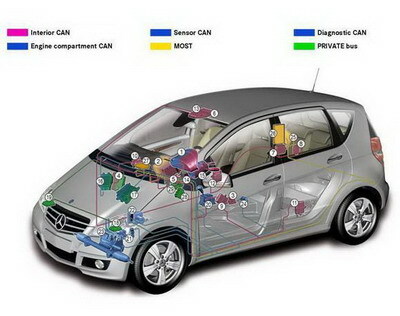 The goal of on-board electrical system management is to assure a positive charge balance in the battery so that the vehicle can be started at any time. The load state of the on-board electrical system is compared against defined characteristics and suitable measures are implemented where necessary. • Reduction of the output of individual convenience consumers. To allow the vehicle to remain idle for long periods, the load on the battery from the quiescent current must be as low as possible. In addition to the optimization of individual components, two other measures have been introduced: decentralized power management and a quiescent current switch. Decentralized power management is integrated into all control units as a standard software module and prevents undesirable control unit activity when the vehicle is parked. The quiescent current switch is a bi-stable relay that is opened by the on-board electrical system management when the vehicle is idle and the run-on time has elapsed. 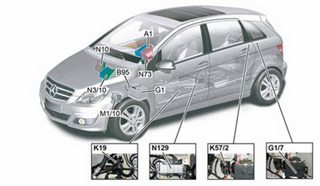 All control units that are not needed when the vehicle is idle are disconnected from the battery. This further minimizes the quiescent current demand. • Additional battery with absorbent glass mat design and an output of 12 Ah. The battery sensor determines the charge state of the battery. Absorbent glass mat batteries are used because of the frequent charge and discharge cycles. 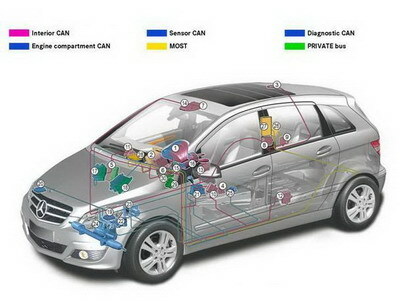 The two batteries can be coupled whenever this is necessary for the vehicle to operate properly. This involves connecting the battery and additional battery in parallel. 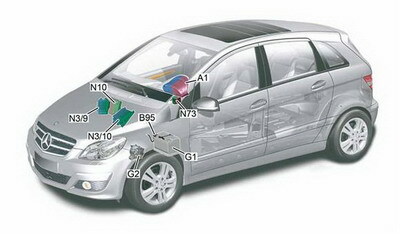 The electric circuits are separate primarily in order to safeguard the starting ability of the vehicle. For this reason, other consumers are only allowed to consume energy under certain conditions. The two electric circuits are coupled and decoupled via a battery cutoff relay. The on-board electrical system is coordinated by the SAM control unit.